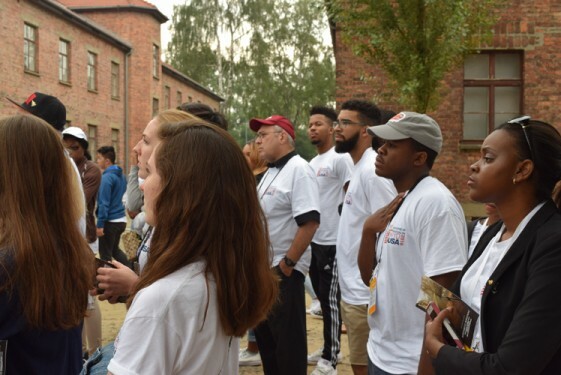 “It is one thing to learn about a part of history and other thing is to see it.” That was the sentiment after the meditative and prayerful visit to the concentration camp of Auschwitz. On July 27, about 400 members of the Brooklyn Diocese contingent, paid a solemn visit to the camp that is considered a symbol of terror, genocide and the Holocaust. Jason Reyes and Matthew Perez, students at Xaverian H.S., Bay Ridge, said that the visit to the site where at least 1,100,000 people were murdered during World War II brought a deep sadness. 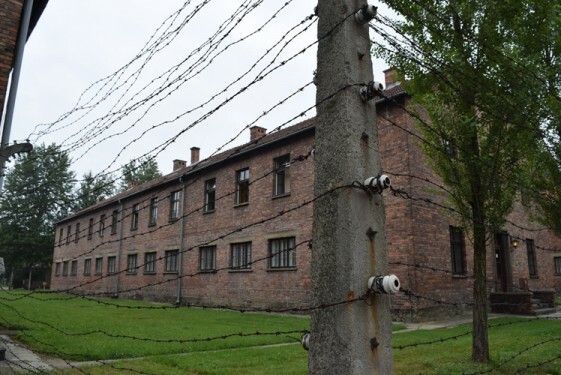 Father John Amann, pastor emeritus of Holy Family Church, Canarsie, said that coming to Auschwitz made the pilgrims feel the depths of human nature at its worst. Perez said that he was touched by being able to walk around the place people were brought to be killed. 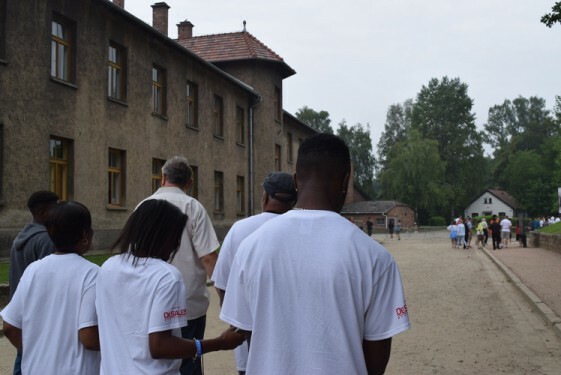 The average life expectancy after arriving at Auschwitz was three months, said the person guiding the tour. “All I could do really was stand there and read the sign and take off my hat out of respect because there is nothing that could be said to further encapsulate what comes from this visit,” he said. 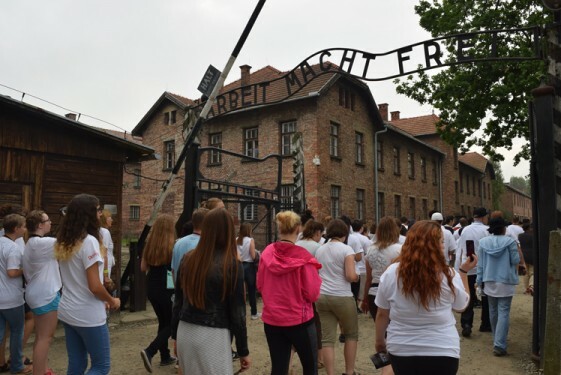 Grace Dolan, 17, of Blessed Trinity parish, Breezy Point, who reflected on the horrors that took place in Auschwitz said this indifference should be avoided at all cost. Perez added that in this Year of Mercy, seeing the results of the worst of the human capacity for evil was a call to treat people differently and to bring about hope and kindness. Amid the sadness, there was a sliver of heroism. 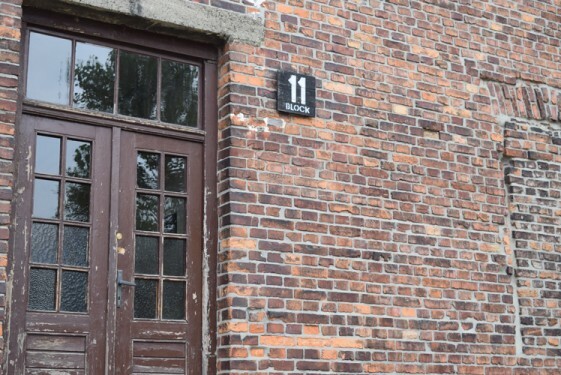 The pilgrims visited the barracks of the martyred St. Maximilian Kolbe, a Polish Conventual Friar who surrendered his live so another prisoner might live. St. John Paul II canonized Maximilian Kolbe in October 1982. Ramirez added that knowing that “amid all the evil Maximilian brought a bit of light and hope also brings forth hope” amid the violence and death that we live in today’s world.